We are updated to this spot. Those of you who are still on the Princess Set list, please confirm that you're still interested in the set so I'll have an accurate count for tomorrow. Yes. Still interested. I'm going on Friday, but probably not to more than one park. If they’re still available, is it possible to get 3 more Sleeping Beauty mystery boxes? Also, thanks for all the time and organization you put into this! Yes, those should still be available. I'll add you to the list! bcol and nateeter like this. Pickups are complete for today! Including, believe it or not, the princess set and Passholder figments! I'll have a good spread of the Disguises for sale tomorrow at noon (WDW time). Please do not requests specific pins until then. I'll post the "rules" one hour before the drop. raikipins, TiggerSue, nateeter and 3 others like this. Just wanted to check in since this is the first time I’ve requested a pin since the random draw rules went into effect. Were you able to get pins for the full Console list or will you be doing a drawing for the winners later? I was able to fill the order, so no drawing. Everyone on the list is good. timeerkat and nateeter like this. I'll have a good spread of the Disguises for sale tomorrow at noon. Please do not requests specifics until then. I'll post the "rules" one hour before the drop. Did you say the timezone for the noon drop? @MerlinEmrys Hi! Please remove me from Princess Set Co-op #2 as you are able to fulfill orders for complete 4 pin sets. I will have at least two of each style available at NOON (Eastern / WDW time) for requests. In order to keep this as orderly and fair as possible, please read the following rules so that your request will be honored. 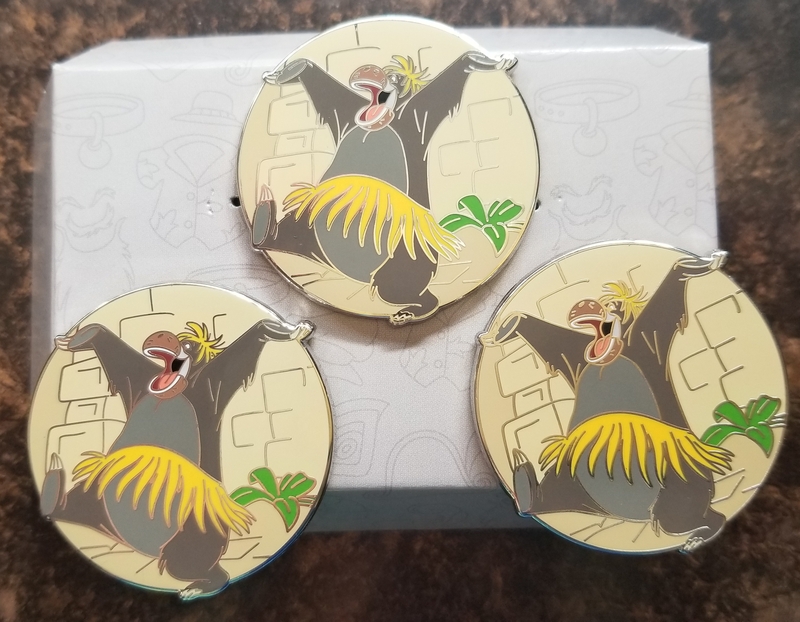 QUANTITY: Just like in the parks, you may only requests TWO (2) pins TOTAL from the Disney Disguise set. That does not mean 2 Cogsworth, 2 Rolly, etc. That means two total. I want everyone to have a fair shot at getting the ones they need for their collections and this seems the most fair to me since we are doing First-Come-First-Serve. Also, you may only request ONE (1) of a single design--so you cannot, in fact, request 2 Cogsworth at all. PROCESS: In your post, please list the TWO (2) pins you would like and ONE (1) backup in case you posted at the same time as someone else and missed their request. Posts requesting more than two individual pins and one backup will not be honored. Do not edit your post. If you need to change something, just post again, and your change will be honored in the order of your posts. Edited posts will not be honored. COST: The pickup cost will be the same formula as for any other pin. Each pin will be $10 + $1 surcharge + tax + Paypal + shipping. If you request two pins, or have other orders from this month, the combined shipping is $0.50 per additional pin. After 24 hours have passed, I will see about opening up additional requests. I also doubt I will be offering pickups for boxes on the next run. So this is probably it for me on these guys. Thanks guys! And may the speed-typing be ever in your favor! PS - please hold off on requests for any other pins until this madness has subsided. ;P Thanks! pincrazy, nateeter and ItzaPinfan like this. I honestly don’t even know how you do it all...truly a wizard indeed. pincrazy and MerlinEmrys like this. Robin Hood and Peter Pan please! Thanks so much! Disney Disguise Requests are now open! Please be sure to read the rules above so your requests is honored. Remember, just TWO (2) pins per person and ONE (1) backup request! Don’t edit your post! May I please request Peter Pan and Basil with Dawson. Thank you! Request is not honored. Only 1 backup allowed. Request is not honored. Timestamp is 11:59pm and before the open post. Oops, was being extra careful.